Are you in Pune and looking for the place where your family can enjoy a lot? Then Appu Ghar Of Pune is the perfect choice for you. 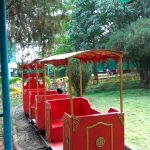 Appu Ghar Pune is one of the most visited amusement parks present in the city. This famous park is located in Nigdi area of Pune and it is a perfect place to spend some quality time with your family and friends. There are numerous rides which attract kids towards the park. This makes it as an ultimate attraction for kids. Appu Ghar of Pune is one of the most crowded places in this educational hub of India. Above mentioned packages include entry fees and one-time access to all rides. Food and the go-carting ride is not included in these prices. Summer evening is the best time to visit this wonderful amusement park. Try to avoid visiting in afternoon during summers. Always keep your cap, sunglasses and water bottle with you if you are visiting this place during summers. Address: Indira Gandhi Udyan Nigdi, Pimpri Chinchwad 411044, Maharashtra. How To Reach Appu Ghar Pune? By Road: Appu Ghar bus stop is the nearest bus stop from the amusement park. You need to take a walk of 4-5 minutes to reach here from the bus station. By Train: Akurdi railway station is the nearest railway station from the park. But this railway station works only for local trains. The nearest big railway junction is Pimpri Chinchwad. It is at the distance of 5 kilometers from the park. This junction is well connected with the major cities of India. By Air: The nearest airport is Pune international airport and it is located at the distance of 25 kilometers from the airport. It takes 47 minutes to reach here by road. You can hire a private taxi from the airport to park. Diamond Water Park: Another amusement park located in the Lohegaon area of Pune city. This famous water park is popular for adventurous and thrilling rides. Aga Khan Palace: This is one of the most visited tourist attractions located in Pune. It is also known as a Gandhi Smarak or Gandhi Museum. Shaniwar Wada: An identity of Pune situated in the heart of the city. This royal palace is the most crowded tourist attraction in Pune.